Everything is exactly the way I want it now and I understand how to do things myself. I really appreciate all you have done and I hope to recommend you to many other people and I hope to buy more templates in the near future. I purchased the Automotive Deluxe theme and have been amazed at how versatile it has been. I have been able to use the theme for many different application such as a ‘Plant and Machinery sales website‘ and it looks professional. The support that I have received from the Gorilla Theme’s team has also been amazing and they have gone to great lengths to ensure the theme is perfect. The support from Gorilla Themes is prompt, courteous and thorough. I couldn’t ask for better service. When we ran into a problem that fell outside the scope of regular theme support, Gorilla was generous enough to work through the solution free of charge. What more could you want from a support team? Carlos is outstanding! The theme offers many outstanding features, widgets and customizable search fields that can be added to support almost any business or industry. I was able to customize the theme for my Truck Dealer client with ease. No coding, or programming knowledge required. Immediately after purchase, I received an email confirmation with download instructions, license key and activation information. The Dealership theme was easy to install and setup. My questions regarding some advanced features were all answered within a day. Some were answered within a couple of hours. Carlos even took the time to log onto my site to assist. Gorilla Themes is reasonably priced! I even received a nice 15% discount on my purchase! The Dealership theme is very flexible, easy to use and offers features beyond compare. The theme is truly responsive. 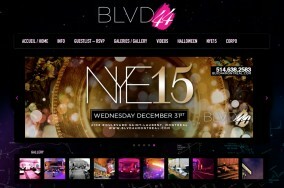 The truck site looks awesome from my mobile device. Lovely themes, excellent value and great support. Thanks, Gorilla Themes!!! I was shopping for my Client to find a good WordPress Car Dealer Theme and I found what I now know to be the best Car Dealer Theme available anywhere by Gorilla Themes. Not sure why some of these other reviewers had problems because I didn’t. The Car Dealer Theme was easy to install and easy to setup, since most of the car dealer type setup was already there only needing my addition of my Clients info. When setting up a new vehicle listing, my Client really likes the ease of typing the Vehicle Vin number and most of the fields are automatically filled in for them by Edmund’s App. Also, there is a Craigslist Code Generator at the bottom of each listing making it very easy to re-post the same listing on Craigslist. When I wanted to do some custom coding for the website I posted in the Gorilla Forum and was helped right away with whatever I needed done. Also, Carlos logged in to my Car Dealer Website and helped me with extra programming, design and more at no cost when needed, but most of the time the support I received in the Forum was sufficient. My client is getting an average of 500 views a day from prospective Car and Truck buyers. From my Client and myself, this Gorilla Car Dealer Theme Rocks! I have had nothing but a positive experience. Not only is the Car Dealer Theme user friendly, Daniel has been a true pleasure to work with. I recommend Gorilla Themes to anyone looking for a great Word Press theme. Phenomenal support – this is so important to have a good support. So many sell you something and support is nowhere to be found. But Gorilla themes, Daniel is fantastic. Thank you Daniel for all your help. Beautiful designs also. Some glitches but Daniel was here to help and he fixed everything the same day. Here is not one good plugin out there for realtors so those Gorilla themes are very very helpful and really nice and professional. I purchased there Automotive theme two days ago, and was having some difficulties getting set up (I am new to webdesign, and WordPress so this probably caused most of the difficulties). Their layout is beautiful, and simple to edit. I used the automotive specific forums where Carlos was exceptionally helpful. Further, there support email was very responsive. They got me setup right away, no additional cost. The response time was timely. – I even got a response at a little past 10:00pm! They help you implement changes and customization seamlessly. As someone who has spent 25 years working with technology and managing networks, I am fairly aware of the demands presented by users who should not have tried to do things themselves, leading to impulsive, negative reviews of others companies. Stop being cheap; do things properly. There is a huge, huge difference between ‘support’ and ‘training’.. if you’ve never used wordpress, know nothing about html, nothing about php, nothing about mysql, then you need a lot more than support. You need training and you are doing someone else’s job. Hire someone who knows what they are doing, your expectations will far exceed support. Other companies may hold your hand, but that shouldn’t set a standard for the whole planet. Again, know your role, hire an admin/developer/programmer.. whatever.. I do not give perfect marks to anyone. I wont pretend I’ve used other theme companies, I haven’t, so I can’t put Gorilla side-by-side with what others offer. What they did offer was exactly what we needed and as someone *prepared to do the job at hand I had NO concerns at all. I was shopping for my client and showed them half dozen themes I thought could work for them. Gorilla’s [car dealer deluxe] theme had exactly the components they required; a VIN decoder was “make or break” in the deal. We purchased a [v4.2] theme which hadn’t been updated in ? years at a premium [top tier] price which admittedly well exceeded the cost of other companies products but we weren’t looking to cut corners or save $30~40. We uploaded the theme, installed the import plugin, imported the demo content, created a child theme and proceeded to toy around with ideas. Zero problems. I’m sure many of these other reviews may contain truths, I wont even begin to guess.. we can all do the same thing yet come away with a very different experience (skewed by perspective and expectations) but, the forums are a thing of the past, the new v5 theme is clean and simple with a slightly improved look and my overall experience was painless. Functionality and Support I gave a top score (for me). Graphics I bumped down because our theme really doesn’t use a lot of graphics, the demo content was beautiful but it is just filler which is replaced by our own photos (cars for sale). Theme pricing I really bumped down, solely because this theme is more expensive than every single theme of its class that I looked at. We were ‘happy’ to pay the difference because well.. we’re a real company, we have $40 dollars.. we don’t care what they cost we just don’t want to build them from scratch, another couple hours of my time while they nit-picked would have cost them over $40 dollars anyway. A small price to pay to save weeks of work. My clients are happy, so I’m happy. First, the theme is amazing. Second, the support I got around my theme was even more amazing. I purchased the celebrity theme and found it easy to use for the most part. I am somewhat new to word press but with a little help from some websites and a LOT of help from Carlos and Gorilla Support Team, my site looks totally amazing. I am not sure why anyone would post something negative here. The support staff get back to people almost instantly and there has not been one issue I raised that was not attended to with super fast speed. I highly recommend Gorilla themes. I tried a few other themes before and the support sucked bad. If you are looking for a spectacular theme with amazing support, you need look no further. 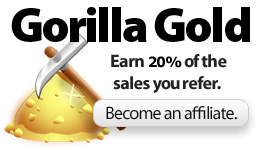 The team at Gorilla Themes stand behind their product. I chose the Automotive theme because it was the best implementation for adding, editing and presenting our vehicle inventory. The team helped us make the necessary modifications to present our unique brand. They did so cheerfully, swiftly, effectively. Each of their themes are embedded with the same attention to detail necessary to make your project a success. I’m looking forward to our next project together. Overall I found great value in the WordPress theme I purchased through Gorilla Themes. Since it was my first time purchasing a pre-made WordPress theme, I was a bit nervous about the support I would get if I had any questions. For the most part they were very responsive, though sometimes they took more than a few days to respond to message board posts (this is how they handle technical questions/issues) but still overall answered my questions and made the tweaks I was looking for. I wanted to purchase a theme that could support an IDX plugin (for real estate listings) and while the theme did support it, a few key features of the theme went away once I installed the plugin. Yet, they still made it right and installed a key feature that went away (for no additional charge) which shows how committed they are to their products and customers. In the end, I would recommend Gorilla Themes and would also recommend purchasing the plan with the customer support to assist with any issues. I’ve been doing website design work for over 20 years now. I’ve seen the evolution from going from just plain html pages through to these content management systems like WordPress. Although it is not too difficult to maintain a WordPress website – eg. in this case adding new inventory, it is completely another thing to set up and get a site working that has some fairly complex scripts and functionality. I purchased the Gorilla Car Dealer WordPress theme in late 2014 and found it fairly straightforward to set up and customize. It had all the functionality the car dealer I was working for wanted. If you have never built a WordPress website, and don’t have much html, PHP knowledge, it is best to just let these people configure your site for you. I’ve purchased other themes for use in different businesses and this was one of the most functional/easiest to install and configure. Support has been good as well. Most answers to my questions on configuration/setup were found on the forums for the theme. Other questions were answered within a day or so. The car dealer came back to me a couple weeks ago and want to add more functionality to their website (integration with Facebook, etc.) I contacted Gorilla Themes and apparently their new version can do it. Also, I’m eligible for a free upgrade to the new version. No complaints there! All in all, I’m very pleased with the product/service. I am very impressed with the ‘Brooklyn’ theme – after I had installed the theme i found all the widgets easy to change. I had a problem with the image slider but i sent an email to Carlos and posted in the forums and he helped me out straight away and fixed the problem for me. I was also allowed to upgrade from the essential package to standard so i could have access to the demo.xml files, this has been the first proper WordPress installation that i have done and i am very happy with the help and support i have received from Carlos and will definitely be using Gorilla themes again!!!!! !